Exfoliation is an important part of my skincare routine. 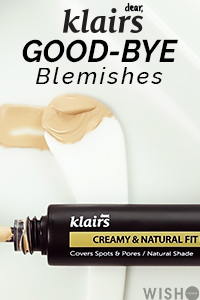 In general, I just prefer to use actives, but I have to take breaks in between as my skin can get easily over-exfoliated. I'm not sure how I feel about physical exfoliation, many face scrubs didn't work for me in the past. Still, I need (bi)- weekly maintenance with face scrubs or clay masks. When q-depot asked me to try one of their products from their store I went with the Skinfood Black Sugar Wash off Mask. Q-depot is a Korean beauty store based in Hong Kong, they have a wide variety of Korean skincare and cosmetics, shipping is based on weight. 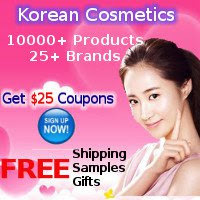 If its your first time shopping with them you can get a 25$ discount by clicking on the banner below. If I decide to receive a product from a sponsor (brand, store) to consider for review, it must be a product that appeals to me and something that I haven't tried before. 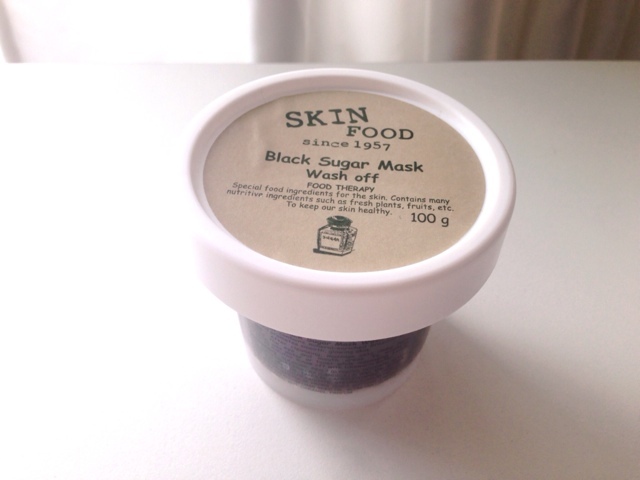 Honestly, I couldn't believe it myself that I haven't tried the Skinfood black sugar mask before, it's cheap and very popular, but I was so into chemical exfoliation, and my skin used to have active breakouts. It's never a good idea to use facial scrub on active acne. .
Disclosure: This product was provided by q-depot for my consideration. All my opinions and recommendations are my own. For more information see disclosure section. Affiliate links are marked with an asterix *, shopping with them will support the blog. The black sugar is Skinfoods star product, sure you must have heard about it before. Skinfoods describes it as a face scrub enriched with minerals and vitamins, effectively exfoliating dead skin while also revitalizing skin. It's supposed to have moisturizing and effective exfoliating ingredients. As the name says; it's a sugar based scrub, containing grainy sugar granules. Ingredient list: Sucrose, PEG-7 Glyceryl Cocoate, Glycerin, Euphorbia Cerifera (Candelilla) Wax, Macadamia Ternifolia Seed Oil, Lanolin, Caprylic/Capric Triglyceride, Cetyl Ethylhexanoate, Stearalkonium Hectorite, Butyrospermum Parkii (Shea Butter), Limnanthes Alba (Meadowfoam) Seed Oil, Sorbitan Laurate, Butylparaben, BHT, Caramel, Parfum. As you can see sugar (sucrose) is the main ingredient! Then we have some moisturizing ingredients like Shea butter. According to cosdna there are no major red flags. Packaging is very simple, nothing special here. I does fit the brands image, skincare stuff that contains food ingredients for skincare..yummy..also cute packaging and smells delicious ;). The mask comes without a spatula, its not that I need one (have to many), but I do appreciated when there is one. It's very difficult and unhygienic to scoop it out with fingers, I didn't even try it. The formula is very thick and solid, like sugar wax. Scent is okay, reminds me of citrus quite refreshing. The instructions say to apply it after washing on a damp face avoiding eye and mouth areas. There are two ways you can use it: 1) on it's own 2) mixing it with water or toner to reduce skin irritation. After application you can massage for like 1 minute and then wait 10 to 15 minutes before washing off with lukewarm water. 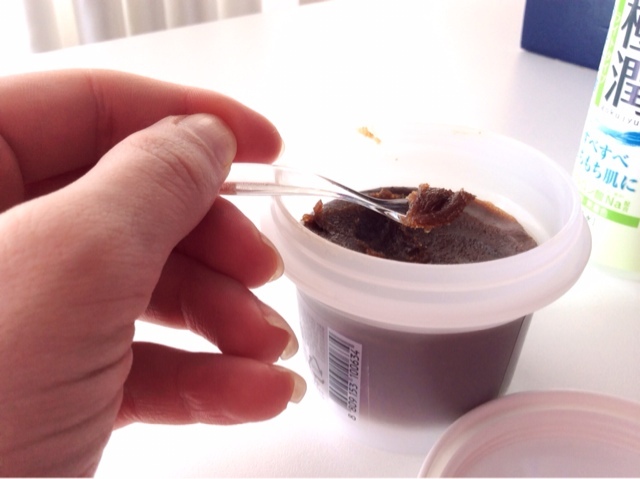 Seeing all the sugar granules I was afraid that the solid texture would irritate my skin. Still, I tried both methods of application. First time I tried it, I applied the mask on it's own and massages for around 60 seconds, then left it for 10-15 minutes. The sugar granules were a little bit too harsh but I dint feel any pain or discomfort. Immediately after application the mask began to self heat, blood circulation increased, it was so warm. Okay, Skinfood so the self heating claim is really true. After washing the mask off some areas on my face were slightly red. my face is prone to redness so I was afraid that the redness would for a few days. Fortunately, the redness disappeared in a few minutes. So now the most important, how did it perform? I was surprised how smooth my skin felt and even some small blackheads were gone. It didn't break me out but I found it too harsh for my skin, so I decided to try the second method. 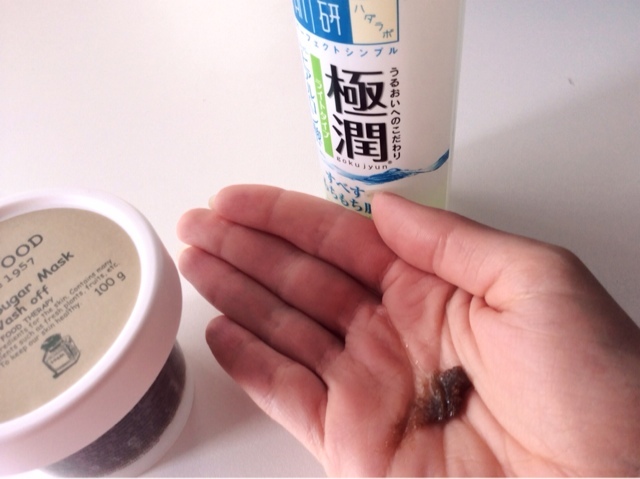 I mixed it with the Hada Labo lotion (texture of a toner), 1/3 Hada Labo and 2/3 black sugar mask. You can see in the picture how the consistency looks. Applying it and massaging was much easier than on its own, there was some self heating effect but not as strong when used without the toner. I must say this method worked so much better. It didn't cause any redness, and felt just as potent. After washing off my skin felt smoother, softer and plumper. Surprisingly , for a wash off mask it didn't feel drying. I also tried mixing it with water instead of toner and it didn't do anything for my skin. Using it with a moisturizer is by far the superior method. This is a really good facial scrub, I'm starting to believe in physical exfoliation. Its quite strong so if your skin is sensitive then its probably better to mix with a toner to prevent irritations. 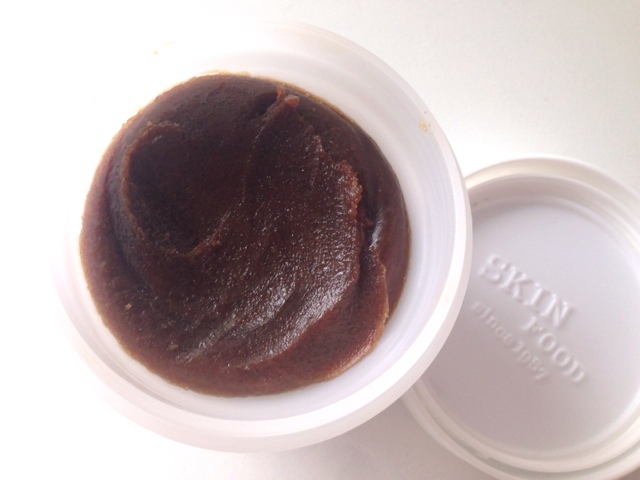 Skinfood has many other masks, for example a rice mask for very mild exfoliation. 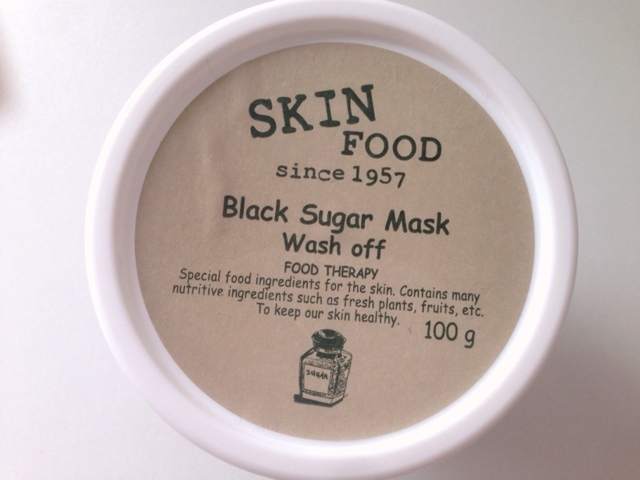 I want to try the Strawberry Black Sugar mask next, its similar to this one but more suitable for sensitive skin. Q-depot online store is under maintenance now, so they dont have it in stock. You can buy it on Amazon* for 7.95$, on koreadepart for 5.57$ and testerkorea for 5.80$. Superb! Seems really good product. I never needed any other products for my skin actually, while following proper skincare routine with good nutrition. But I am keen to try this.